Netherlands--The Netherlands despite being a small country, lacking in natural resources, was able in the 17th Century to become the centre for European overseas trade, including the trade in human beings. This 'Dutch Miracle' was a product of numerous innovations in navigation, manufacturing and finance, which allowed for slaves and slave produce to be transported at greater capacity and at lower cost. 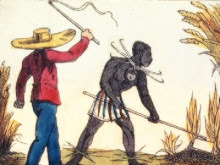 The first recorded trader sold 20 Africans to the colony of Virginia in North America in 1619, but the Dutch trade only really took off in response to labour shortage in the newly conquered sugar plantations of Northern Brazil in 1630. Wars with Portugal (1620-1655) left the Dutch in control of many of the slave depots on the West African coast, centred on modern Ghana, which by 1650 had dispatched 30,000 slaves to Brazil alone. After the return of the Brazilian colonies to Portugal in 1654, the Dutch traders were able to draw upon their network of forts to supply other European powers, dominating the supply to Spain until the 1690s. However the near constant warfare the Netherlands were waged in with other European nations, such as Spain, France and Britain, by Imperial Spain, did eventually sap its strength, and Dutch involvement in the trade declined in the 18th Century, and effectively ceased in 1795. 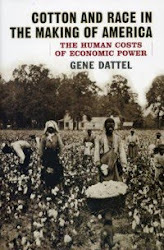 When the final abolition of the trade and institution of slavery formally occurred in 1863, Dutch agents had brought 540,000 Africans to the Americas and cast the spectre of slavery east, from the Cape of Good Hope to the Indonesian archipelago. The Dutch-Portuguese Wars --Between 1620 and 1655 the Netherlands and Portugal were at war, a struggle that became increasingly dictated by the needs of the slave trade. The Dutch were late comers to Africa, and their attempts to establish trading posts inevitably led to confrontation with the Portuguese. 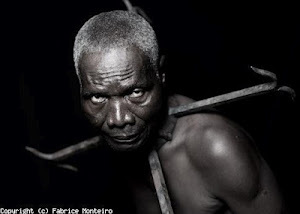 The Dutch were initially chasing African gold, but after they captured the sugar plantations in northern Brazil, they turned to slavery to help realize its full potential. Plans made to conquer the Portuguese headquarters on the gold coast, São Jorge da Mina, to ensure a steady flow of slaves, were successful and it fell in 1637. The newly renamed Elmina, proved disappointing, but it drove them on to Angola, and the island depot of São Tomé, and gave Dutch slavers a taste of the profit had at the expense of human beings. 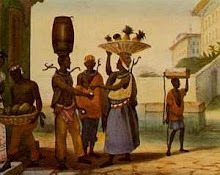 When Brazil fell in 1654 the trade continued at a pace, with colonies like Curacou emerging as vast slave markets open to the whole Caribbean. 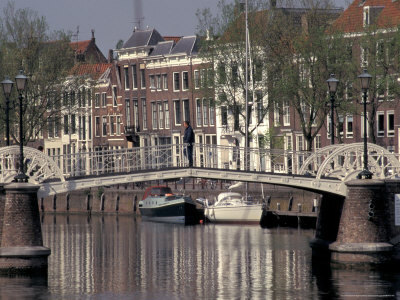 Amsterdam -- Amsterdam was the capital of the Holland, the largest and most important of the Seven Provinces that comprised the Netherlands. The city was already prosperous, but when the southern city of Antwerp fell to the Spanish in 1585, it benefited from a stream of enterprising merchants and wealthy refugees. By the mid 1600s it was the most important trading center in the world, providing a vital supporting role to Caribbean slavery. West-Indisch Huis (West Indies House) in the centre of Amsterdam was the former headquarters of the Dutch West-Indische Compagnie (West India Company or WIC), which was probably the largest single slave trader in history. 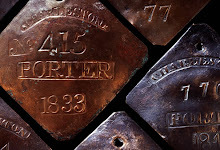 The company was chartered in 1621, and provided with a monopoly on the African slave trade that lasted until 1730. This building was occupied from 1621-1647, a period which saw the first of 30,000 slaves arriving in Dutch Brazil, arranged through the WIC. 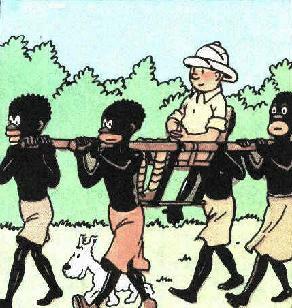 Runaway black slaves are attacked by dogs by Louise. Sculpture in carramarmer (to a plaster model of 1869), Nov sculptor Louis Samain. Original model in 1894 by the Belgian State acquired and donated to city of Brussels. In 1895, also date of signature, placed on Avenue Louise. Natural stone octagonal plinth walls with vaulted arch November E. Le Graive. The poignant scene - a black slave with his child being attacked by two watchdogs - is inspired by the famous novel Uncle Tom's Cabin by Harriet Beecher-Stowe (1851). 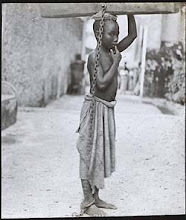 The slave routes required bulk warehousing and transportation for slave produce once it arrived back in the 'Old World', and Amsterdam developed accordingly. Its historic centre retains many of the original tall, narrow and deep warehouses that as part of the colonial boom once bulged with sugar, cotton and tobacco. In the 17th Century most traded commodities passed through Amsterdam's canals and rested in its warehouses before being traded on. The Commodity Exchange (Beurs, pictured below) was built from 1608-1613 with this fact in mind, becoming so influential that merchants came from all over Europe to set their prices, and to speculate on the goods newly arrived from the Caribbean. These prices would in turn help shape the demand for bonded labour in the various sectors of the slave economy. 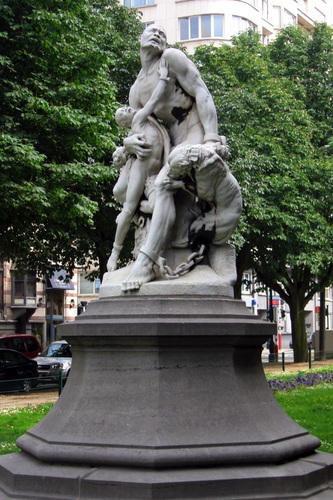 Amsterdam ranks as a European capital of slavery. While its mills processed almost all the sugar from the Portuguese colonies, its financiers bankrolled the Danish, Swedish and Brandenburg slave trade, and in turn Scandinavian and German sailors made up half its slaving crews. 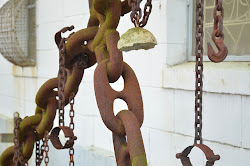 As home to the world's most sophisticated banking and insurance system, it was the natural home for the expensive and potentially risky business of slaving, and for this reason alone as many as 10,000 vessels were associated with the port. The Dutch Golden Age--The17th Century has been widely described as the Netherlands' 'Golden Age.' The period saw the flowering of the arts and sciences. The average Dutchman was wealthier than his counterparts in any other country in the world and lived in a relatively tolerant country. 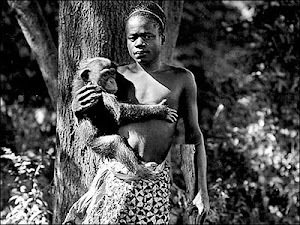 This progress was achieved in part at an appalling human cost, and several of era's great advances helped tighten the noose around the African continent. Amsterdam's Town Hall is perhaps the most significant building from this period, built from 1648-65 and by design the most ambitious and indeed the largest home to any city government in Europe. 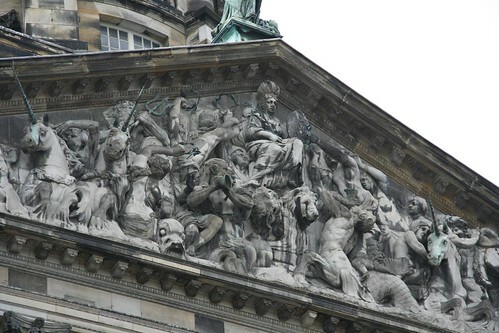 The elaborate freeze on the western façade depicts the basis of Amsterdam's wealth. The female personification of the city reaches out for the treasures of Europe (on the left), Asia (on the right), America (far right) and Africa (far left). A cargo ship is shown bring this bounty to the port, the centre of the world, and above the statue of Atlas makes the nation's claim to carrying the world on it shoulders. The Golden Age was the high water mark of Dutch influence, its power and culture a product of these patterns of exploitation. Zeeland --The ports of Vlissingen and Middleburg in the south-western State of Zeeland became dependent on the slave trade to an unparalleled degree, beating even Amsterdam as the main departure point for slavers. Ships from Zeeland made 672 journeys to Africa, transporting 278,476 people into a life of slavery, compared to the 173 recorded voyages from Amsterdam, carrying 73,476. The two ports were practically slaving communities, and official reports indicated that by 1750 the only significant commercial activity in Vlissingen was the slave trade. This marked quite a transformation for the province, which in 1596 had steadfastly rejected the opening of a slave market in Middleburg, on the basis that Dutch law did not countenance slavery. 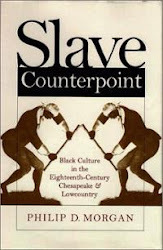 The momentum that drove slavery brought on a transformation in attitudes within the area, and saw Middleburg ... become host to the largest independent slaving company in the Netherlands. The Middleburg Commercial Company (MCC) transported 31,095 Africans to the Americas between 1732 and 1803, of whom 27,344 survived the crossing. This period map of Middleburg shows the familiar network of canals and docks that marked it out as an efficient and prolific slave port. 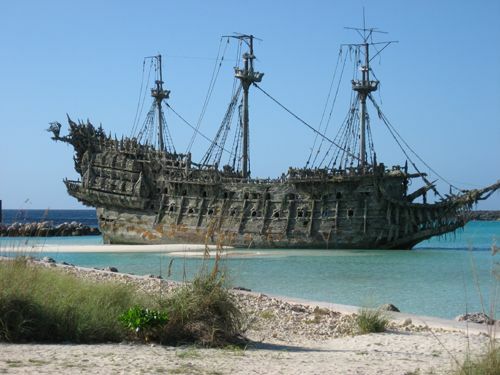 In the movie "Pirates of the Caribbean," the Flying Dutchman was a fluyt. The Fluyt -- Dutch innovation transformed shipbuilding. The Netherlands had to import almost all of its wood from abroad, and to save money found ways of making fast and efficient ships from cheap materials. The Fluyt or 'fly boat' was one such design, based on low quality wood and easily pre fabricated parts, and requiring a much smaller crew than the ships of foreign competitors. This ship became a familiar site throughout Europe, Africa and the Caribbean, and its vast cargo hold and shallow draft made it ideally suited for slave voyages. The nation's talent for shipbuilding encouraged countries across the continent to either borrow Dutch designs, or simply commission fleets to be constructed in Dutch ports. 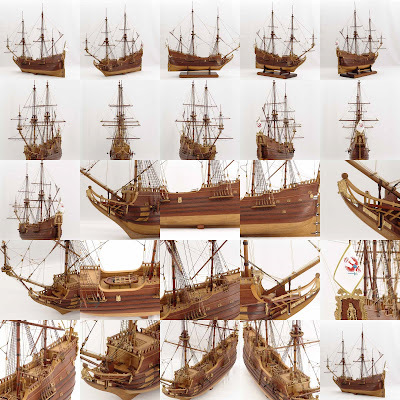 Thanks to vessels like the Fluyt come 1670 the Netherlands had more ships than England, France, Germany, Portugal, Spain and Scotland put together, boasting the most 'efficient' slave ships afloat. The Dutch captured the British colony of Suriname during the Second Anglo-Dutch War(1667), and under the WIC it was developed as a plantation slave society. 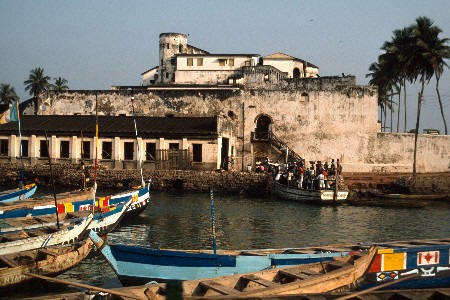 It was a primary destination for the Dutch slave trade, yet unusually it never experienced a general slave rebellion. 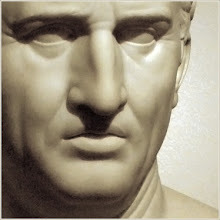 The regime was one of extreme and deliberate brutality, even by the standards of the time. Mortality was so high that although 300,000 slaves were imported between 1668 and 1823, the ravaged population was never able to grow beyond a figure of 50,000. 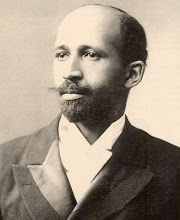 'Maroonage' emerged as the main method of resistance. Fugitive slaves, 'Maroons' fled inland, and formed permanent communities. 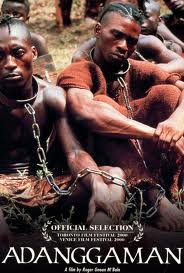 There is nothing unusual about this in any slave society, except for its scope. 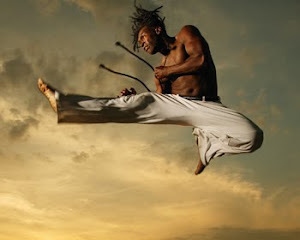 The Suriname Maroons numbered between 25-47 thousand in the 18th and 19th Centuries, and engaged the Dutch in over 50 years of gureilla warfare. The resistance proved so strong that the colonial government acknowlged their virtual independence in the 1760s. 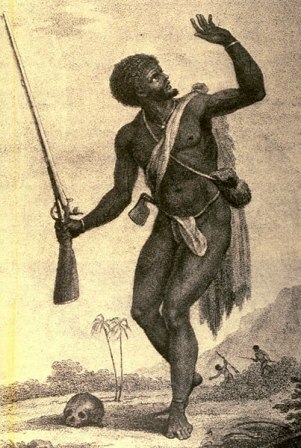 The Scottish-Dutch soldier John Gabriel Stedman witnessed the oppression of the slaves during a campaign against the maroons in 1774. 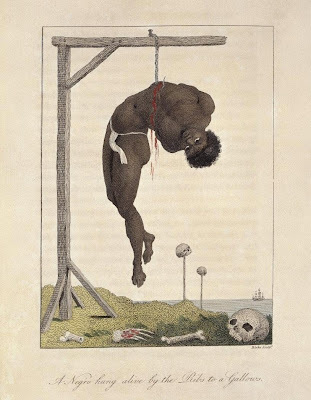 His book a Narrative of a Five Years Expedition Against the Revolted Negroes of Surinam, with vivid illustrations by William Blake and Francesco Bartolozzi was taken to heart by abolitionists, through Stedman's real sympathies are thought to have been with reform rather than abolition. 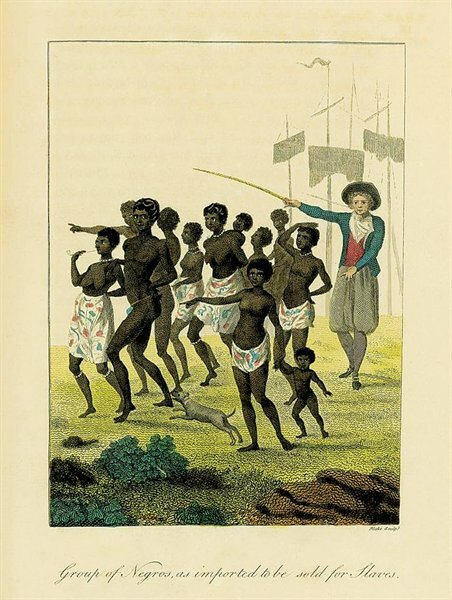 The domestic slave Coffy led a rebellion in the Dutch Colony of Berbice (now British Guyana) in February 1763. 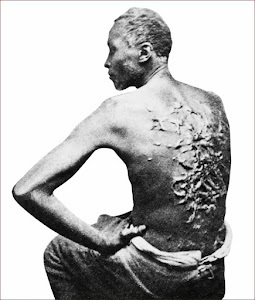 An outbreak of yellow fever had left the white slave owners weakened and vulnerable, and the slaves saw a chance to rise. Taking arms, they almost succeeded in their first aim of driving all whites from the colony. 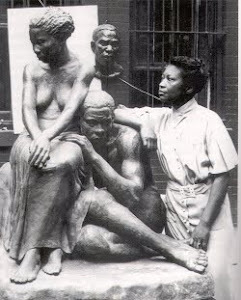 Coffy had opted for peaceful coexistence with the former slave masters, and planned to broker a treaty with the authorities like the maroons of Surinam. He fell out with his fellow rebel leaders and committed suicide three months into the rebellion, but his followers continued fighting Dutch forces until April 1764. In 1623 the WIC were granted permission to establish the province of New Netherland in North America. The Dutch were largely unwilling to become settlers (thanks in part to their relatively comfortable position at home), and the colony developed with large numbers of European workers, particularly from England, Germany and what is now Belgium. The shortage inevitably led the colonists to turn to the slave trade, and in 1625 the first group of 11 African males arrived on Manhattan Island at fort New Amsterdam (now New York). 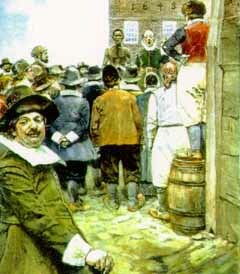 The WIC pinned its hopes on the New Netherland after the loss of Brazil in 1654, and shipments markedly increased. By the 1660s the company was the largest single slave owner in New Amsterdam, forcing their 'property' to build roads, houses and defences. 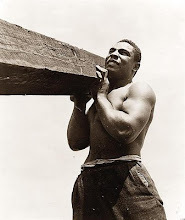 The large wooden perimeter wall they constructed has long since disappeared, but the American financial district 'Wall Street' takes its name and location from these slave craftsmen. 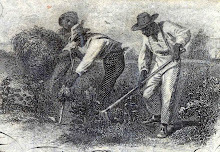 With large numbers of white migrants already working the fields, the demand for slaves came largely from the rapidly urbanising townships. 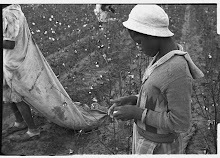 The system was light compared to the extremes of the plantations, and skilled slaves were able to exploit the labour shortage to achieve more freedom. 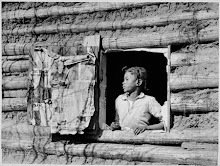 Many had already been specialists in Caribbean colonies, and veterans were able to achieve a state of 'half-freedom' in return for payment to the WIC. This suited the authorities, who were quite happy not to have to clothe and feed the half slaves themselves, but more than prepared to demand their work when they needed them. 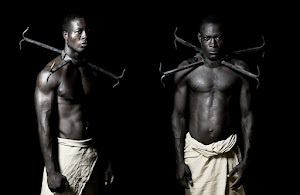 Because of this relaxed arrangement slaves were more easily assimilated into the colonial culture than elsewhere, but still they preserved and adapted many rituals originating in West Africa. The annual Festival of 'Pinkster' (the Dutch word for Pentecost) blended African and Christian traditions to celebrate the coming of the spring. 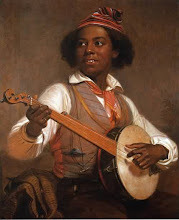 It was a rare holiday for slaves, an opportunity for African music, dance and storytelling, but also for mockery, as the crowds would mimic the European manners of their masters and elect a king for a day. 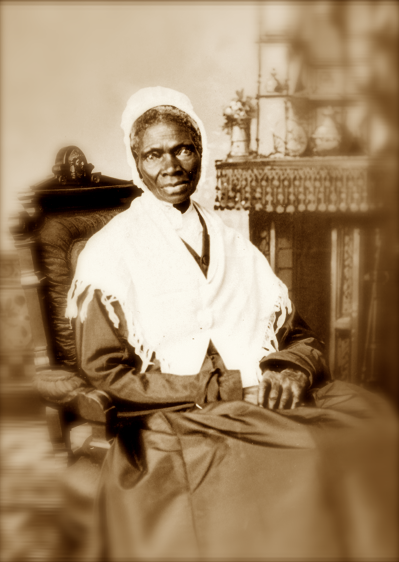 Sojourner Truth was enslaved by the Dutch in New York. The province of New Netherland was captured by Britain in 1664, its slaves having laid the foundations for settlements that would emerge as great cities: New York (New Amstersdam), Philadelphia (Fort Beversrede) and New Jersey (Fort Nassau). 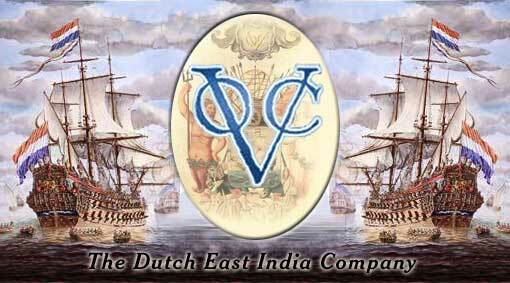 Cape Colony -- The Dutch East India Company (Vereenigde Oostindische Compagnie, or VOC) was set up in 1602 to trade with Asia, and became the world's most powerful company over the 17th Century. It fed an insatiable European demand for spices, textiles and porcelain, and developed trading posts from throughout Asia, including Japan, China, Iran, India, and Indonesia, again frequently at the expense of the Portugese. 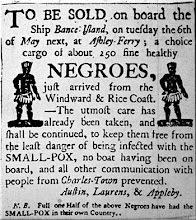 It was not directly involved in the transatlantic slave routes (the West India Company's monopoly), but it did own large numbers of slaves. The company's regional headquarters in Batavia (now Jakarta) and Colombo (in Sri Lanka) had about a thousand slaves, mainly from the bay of Bengal. Chinese, Indian and European traders provided most of the VOCs bonded labour, but occasionally it organised its own voyages to the East African island of Madagascar for slave raids. The voyage to Asia usually headed around the African coast, and VOC established a refreshment station at the Cape of Good Hope to supply these crews. In 1652 a group under Jan van Riebeeck established the Cape Colony at Table Bay, near Table Mountain in modern South Africa. The VOC were anxious to keep the local Khoi and San populations on friendly terms, and in a matter of weeks van Riebeeck requested slave labour. The administrator favoured Angolans, but the rival WIC made it clear that West Africa and its population was its prize, so the VOC turned east. Slave expeditions left Cape Town for Madagascar and Mozambique, but most headed for Asia, particularly to the Indian coast, Sumatra, Java, the Celebes, Ternate and Timor. The Castle of Good Hope is the oldest surviving building in South Africa, and was built and used to occupy slaves from 1666 onwards.